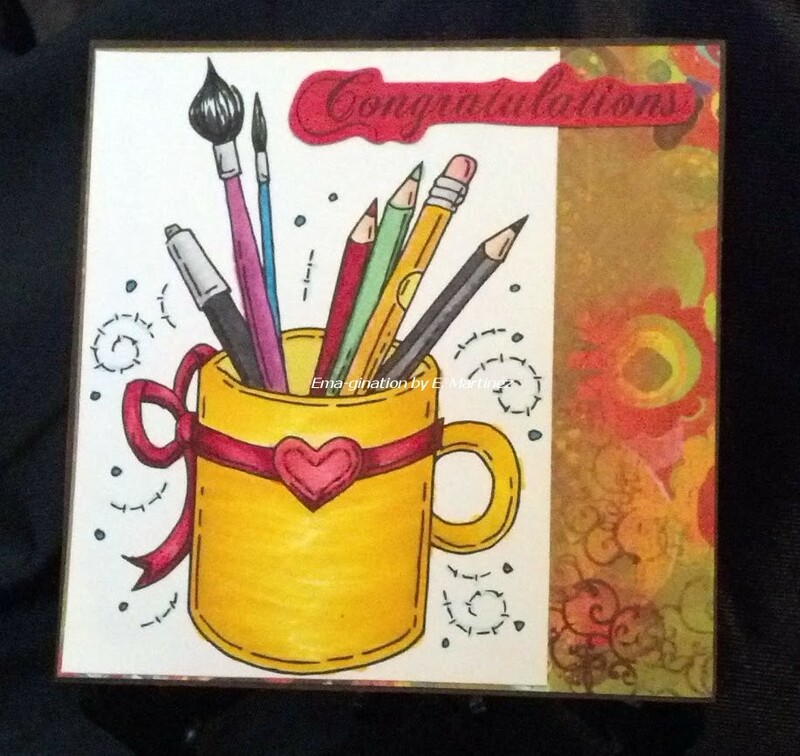 I am participating in Challenge #141 - New Beginnings at Meljen's Designs Design Team and Challenges blog. The title says it all... has to be about a new baby, new year, new house, new job... get the picture? ;) ... AND a Meljen's Designs digi. That was the tough part but ANY TIME I have to use a digi, trying to pick JUST one to color is my downfall. After much consternation... on MY part... ;) ... I did finally chose one... 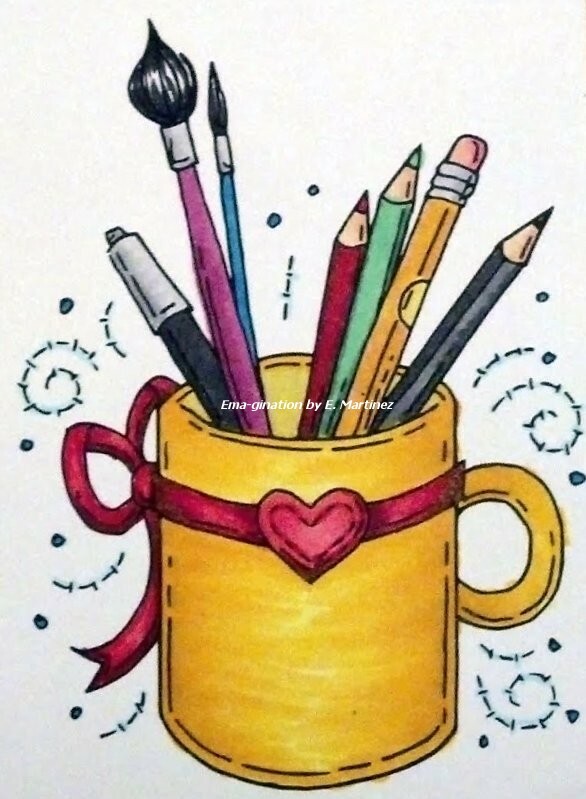 Artist Mug. Great card! Great colors! Great story! Thanks for playing along with us at Meljen's. I hope you join us again! Never, never, ever let someone else's artwork intimidate you. It's all about the passion and joy you feel doing it. Seriously. If I waited until I felt like I was as good as Gaugin or Van Gogh, I'd never paint.